If you are a YouTube fan, chances are that you like to download YouTube playlist videos and convert them to audio/video files so that you can them on compatible devices. And there are many YouTube playlist converter software for you to do this. However, the problem arises when you want to download a YouTube playlist. Most converters that are available only allow you to download and convert one file at each given time. This can be very daunting when you are downloading a YouTube playlist, which can contain as many 50+ files. Fortunately, there are a number of video converters that you can use to download and convert YouTube playlist to MP3, MP4 or other formats. Below is a look at some of the most popular YouTube playlist converter. iTube Studio is the No. 1 YouTube playlist converter tool. The application allows you to download your favorite videos from thousands of websites, including YouTube. It also comes with playlist download support, where you can download a complete playlist from YouTube at a go. In addition, it comes with a built-in converter, which allows you to convert the downloaded YouTube videos into video formats. You can also use the software to extract the audio and export it to your devices in various formats such as MP3, M4A, WAV, and MKA, AC3, APE, M4B, AAC, AIFF, WMA, M4R and 153 more formats. 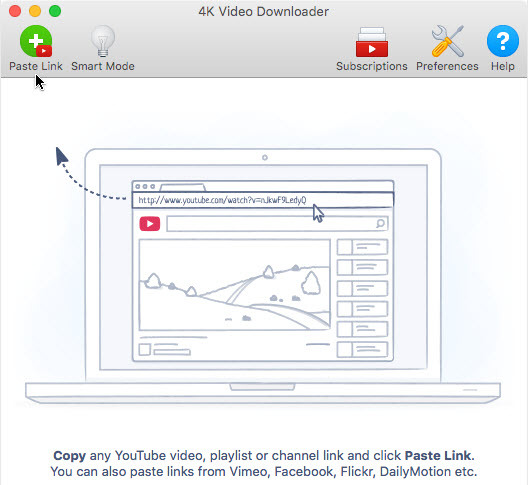 4K Video Downloader is another great solution on how to convert YouTube playlist to MP3. 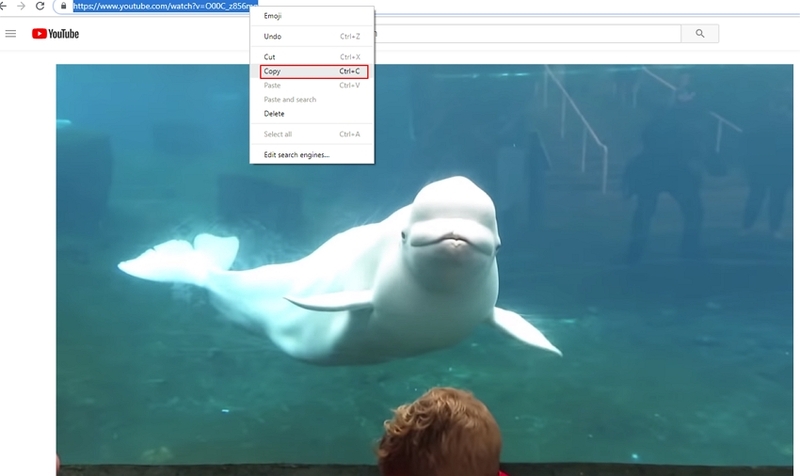 It allows you to download videos from several websites by just posting the url of the video on the program's interface. You can also download a YouTube playlist by copying its url and pasting it on the interface. In addition, you can also convert your YouTube videos into audio by using the "Extract Audio" feature, which supports different audio formats such as MP3, M4A, and OGG. 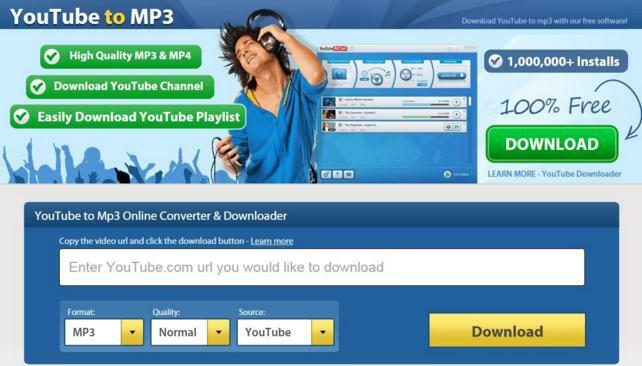 Free YouTube to MP3 converter is one of the best video download and conversion software, which allows you to download and convert videos and playlists from YouTube and several other supported websites. In addition to playlists, you can also download full YouTube channels at high speeds, courtesy of the multi-threading technology that the program is equipped with. Free YouTube supports conversion of the downloaded videos into various audio formats, which includes MP3, M4A, OGG, FLAC, and WAV. 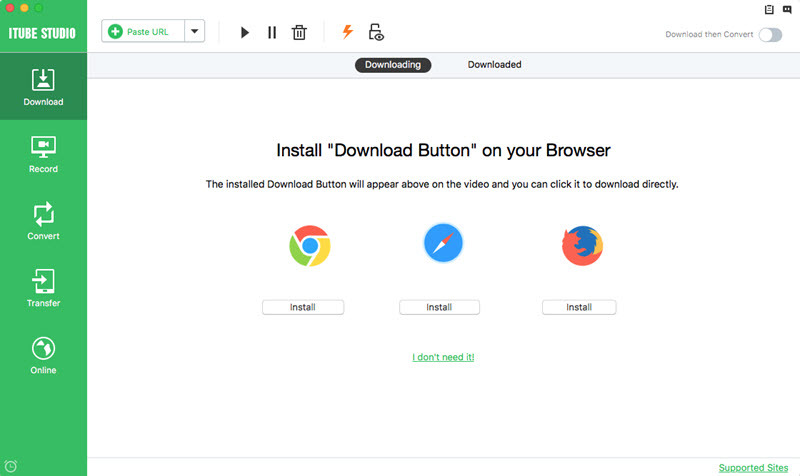 Free Video Downloader for Mac (or Free Video Downloader for Windows) is a free YouTube download tool that allows you to download individual videos, playlists, and full channels from YouTube. It comes with a one-click download feature, which automatically detects when videos start to play on your browser, providing you with an easy and hassle-free download solution. iSkysoft Free Video Downloader also allows you to extract audios from the downloaded files and save them in various formats such as MP3, WAV, MKA, and WAV. YTD Video Download is an application that allows you to download and convert videos from YouTube and several other websites that are supported. It comes with great features, such as an integrated video player and a resume capability that comes in handy when your internet connection is interrupted when downloading. It is also equipped with a video conversion function, which supports conversion of the downloaded videos into mp3, Wav, AVI, and several other formats. In addition to downloading YouTube playlists and then converting them to mp3 files using offline applications, you can also convert the playlists to mp3 files first and then listen to or download the created audio files. For this, you will need an online YouTube playlist converter. Below is a look at some of the top 5 online YouTube playlist converters that you can use. YouTubeplaylist-mp3.com is one of the most popular YouTube playlist to MP3 converter online websites. It features a simple to use video conversion application, where you only have to copy the url of the playlist you want to convert and post in on the designated section on the website. 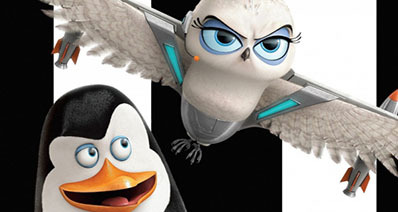 The video files are then converted and displayed on the website, from where you can download them. 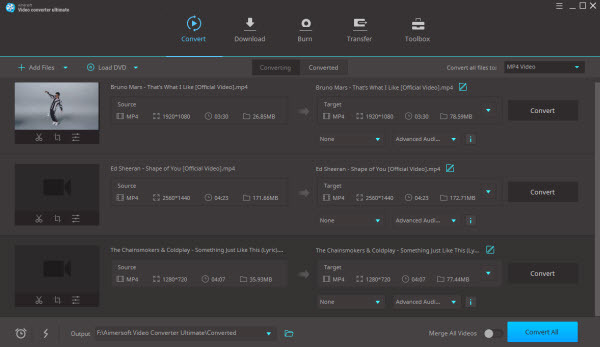 Downvids.net is an online YouTube playlist converter, which allows you to download videos and playlists from YouTube and other video sharing websites such as Vimeo, Facebook and Instagram. It features a simple online download application, where you only have to copy the url of the playlist you want to download and paste it in the text box next to the download button. The application then lists all the videos on the playlist, which you can download in video format or extract the audio in MP3 format. AllToMP3 is an online YouTube playlist converter, which allows you to convert your YouTube playlist to high quality MP3 files, which you can then download and enjoy offline. In addition to YouTube, you can use the program to convert individual videos and playlists from other websites such as Vimeo, SoundCloud, and Vevo. YouTube Playlist Downloader is an online video downloader, which allows you to download videos and playlist from YouTube and over 1,000 other supported websites. The application also comes with an audio conversion tool, which you can use to extract audio from your videos and playlist and save the files as MP3. YouTube to MP3! Supports the conversion of individual videos and playlists from YouTube and several other video sharing websites such as vid.me, Facebook, SoundCloud, Vimeo and Dailymotion. You can also download an entire YouTube channel from YouTube using this application. It allows you to convert YouTube playlist to MP3 and WAV audio formats, alongside several other video formats.